Manchester United are confident that goalkeeper David De Gea will put pen to paper on a new five-year contract that will see him stay at the Red Devils until 2023. Manchester United, in need to backup their future as Rio Ferdinand and Nemanja Vidic’s career grew towards the twilight, threw their money at Chris Smalling seven years ago. Throughout his professional life the former Fulham man gave out displays that showed that he was capable of being a decent reliable defender and had potential to be up there with the very best. 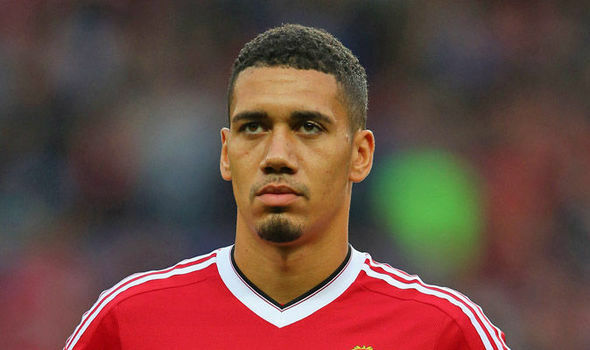 Smalling is known for his ability to read games, his positional sense and his penchant to start forward plays right out of the defence. However, despite all these attributes, it is safe to say that the Englishman failed to become the player with which United can build their ever wavering future on. It can be argued that the troubling post-Ferguson era would have been too much for any player to handle, but the thing is, it is in the moments of great adversities that players prove themselves the most – and the Englishman utterly failed to do so. United give up on De Gea? Manchester United are willing to listen to offers for David De Gea, though not until the end of the season, ESPN reports. United targetting a new keeper? Following the mistake made by David De Gea that led to Clint Dempsey’s stoppage time equaliser in Sunday’s 1-1 draw at Tottenham Hotspur, Manchester United have been linked with a string of potential goalkeeping targets.